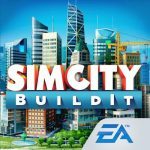 SimCity BuildIt, as you may know, is Electronic Arts’ mobile twist on SimCity, and while not as deep or as intricate as the game’s versions on other platforms, BuildIt nonetheless stands out as a complex title in the mobile world. And one of the more difficult things to do in the game, at least for a good number of newer players, is to earn more in-game coins. 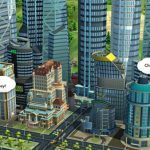 These coins, like they are in other SimCity games, are called Simoleons, and you’ll need a lot of them, as well as a constant supply of these coins. 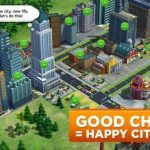 And now we shall be talking you through on SimCity BuildIt cheats and strategies you can employ to make more Simoleons in the game. We shall be getting to these strategies in just a bit, but before anything else, we’d like to assure you that it isn’t really that hard as you may think at first. Regardless of what level you’re in, the primary way you’ll be making money is by building and upgrading residences. Yes, you would earn some money by building a residence, but it would be even more important to upgrade an existing residence if you’re looking to earn more Simoleons and fast. This strategy should keep your city solvent in the early levels, where you don’t have City Hall up yet. Once you’ve reached Level 5 or higher, that will allow you to manufacture the City Hall. That’s going to allow you to collect tax from your city’s residents, though it’s not as obvious as setting up a certain percentage for taxes like it is in the real world. The amount of tax collected will be dependent on how happy your citizens are, which makes it important to create parks and other amusement places for your citizens to keep them happy. Some players would rather not bother with this, but it can be useful once your population has hit the 8,000 mark. Once that happens, you can begin selling materials and setting prices; that’s going to leave your items up for purchase by other players. In particular, you’ll want to focus on Storage upgrade materials, as well as rare materials, as these typically sell for a lot of money and are much-valued by players in general. 4. Deal Or No Deal? We’d definitely go for the former here, because deals are one thing that could help you earn Simoleons in exchange for your resources. Tap on the coin symbols that you may sometimes find on top of your buildings, and you’ll be advised of the terms of the deal – which materials you’ll need to trade in order to get the specified amount of Simoleons. We’d also advise you to say “yes” in almost every deal – refusing the deal means it won’t ever be offered again. 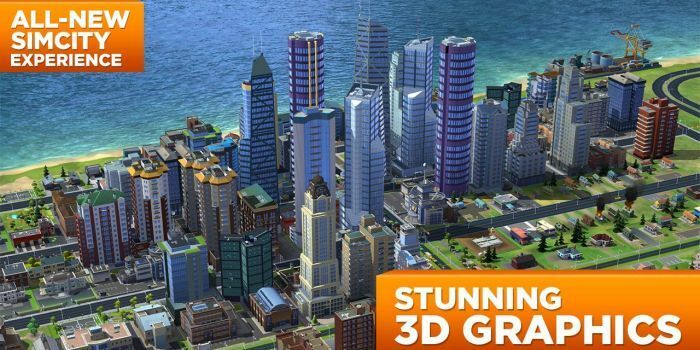 SimCity BuildIt, like other city building games, rewards players who know how to design their city without much clutter, and with a lot of sense. Make sure your city is properly set up, and that means evaluating the best areas for certain buildings, which upgrade strategies are best, or whatnot. 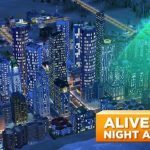 That should ensure your city makes a lot of Simoleons constantly and consistently.